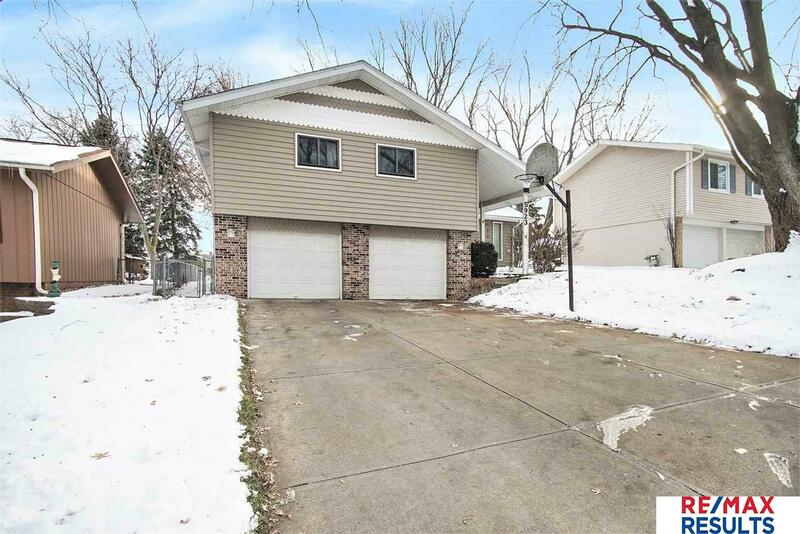 This great home in Millard School District is move-in ready! Enjoy evenings relaxing or entertaining on the 17x11 deck or large patio in the big backyard. Living areas are bright & open with vaulted ceilings on the main level. Family room has cozy fireplace to take the chill off on cold evenings. BIG en suite has double closets & 3/4 bath. Tons of updates including newer roof, air conditioner, furnace, vinyl siding, deck, patio & windows. Brand new carpet and fresh paint throughout! Large rec room in the basement along with giant storage area! Gas grill stays with home. Close to shopping, parks, schools. All measurements approximate & per assessor. Don't miss this one!